Rivers Edge in Ingleton sleeps 4 people, with the accommodation being caravans. 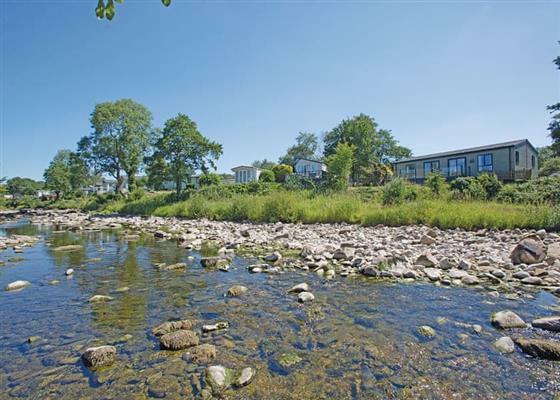 Rivers Edge can be found set between the Lake District and Forest of Bowland, on the edge of the Yorkshire Dales and just two miles from Ingleton; Rivers Edge is the ideal destination from which to explore this stunning location. Surrounded by two National Parks and two Areas of Outstanding Natural Beauty, Rivers Edge is a beautifully landscaped park which as the name suggests is bordered by the river Greta with its pebbled banks and gently flowing water. Join the numerous cycling routes from the park entrance or pull on your walking boots to tread the well-worn paths of the Yorkshire Dales and Fells of Ingleborough before returning to the comfort of your modern and stylish holiday home and unwinding in your outdoor hot tub underneath the stars and wrapped in this beautiful corner of the country. If you want to find out what other people have said about Rivers Edge, read the reviews on Rivers Edge for more information. And, for those last minute bargains, have a look at some of the special offers available at Rivers Edge. Stylish and contemporary timber clad holiday home with one master double with ensuite shower and one twin (double by arrangement). Family bathroom with bath with overhead shower. 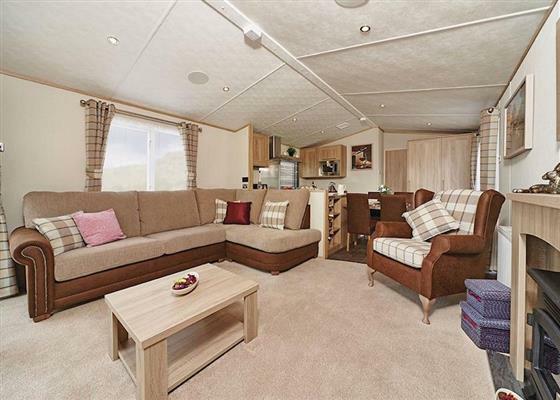 Open plan living area with doors leading out to spacious decking with quality garden furniture and outdoor hot tub. Brand new for 2018. Stylish and contemporary lodge boasting river views. One master double with ensuite shower and one twin. Family bathroom with bath with overhead shower. Open plan living/kitchen/dining area with doors leading out to spacious decking with quality outdoor garden furniture. Find out about Rivers Edge, including prices and availability. There aren't currently any special offers at Rivers Edge however, the special offers shown below are all on parks within 30 miles of Rivers Edge - so you may find these useful. There are 17 holiday parks within 10 miles of Rivers Edge. Knott View Barn in Kirkby Lonsdale, Cumbria, and sleeps 11 people. 10 miles. Lane House in Wharfedale, North Yorkshire, and sleeps 6 people. 20 miles. Jebel Kasr in Keswick, Lake District, and sleeps 2 people. 43 miles. Pound Farm Farmhouse in Crook, Cumbria, and sleeps 10 people. 19 miles. The Boskins in Whalley, Lancashire, and sleeps 4 people. 23 miles. Lenys Cottage in Middleton-in-Teesdale, Durham, and sleeps 7 people. 38 miles. Blea Beck in Askam-in-Furness, Cumbria, and sleeps 4 people. 29 miles. Springfield House in Middleton-in-Teesdale, Durham. 37 miles. Church View in Ambleside, Cumbria. 27 miles. Abbys in Millom, Cumbria, and sleeps 4 people. 32 miles. Towngate Cottage in Foulridge, Lancashire. 23 miles. Spider Cage Cottage in Tow Law, Durham. 49 miles. Ing Hill Barn Apartments in Mallerstang Dale, Kirkby Stephen. 20 miles. Algars Garth in Penrith, Cumbria. 39 miles. Pound Farm Farmhouse in Kendal, Cumbria, and sleeps 10 people. 19 miles. Cumberland Cottage in Orton, Cumbria, and sleeps 2 people. 23 miles. Whitecroft in Cartmel, Cumbria, and sleeps 6 people. 19 miles. Corn Meadow in Kirkby Lonsdale, Cumbria, and sleeps 4 people. 46 miles. The Mount in Sedbergh, North Yorkshire, and sleeps 8 people. 13 miles. Rossall Point in Fleetwood, Lancashire, and sleeps 8 people. 28 miles. Beckside Cottage in Penrith, Cumbria, and sleeps 6 people. 23 miles. The Nunnery in Leyburn, North Yorkshire. 23 miles. Kentdale in Ambleside, Cumbria, and sleeps 6 people. 27 miles. Natterjack Cottage in Millom, Cumbria, and sleeps 5 people. 32 miles. Silverholme in Lake Windermere, Cumbria. 22 miles. Holme View in Hawes, North Yorkshire, and sleeps 4 people. 17 miles. Enys in Morecambe, Lancashire, and sleeps 4 people. 15 miles. Root Farm Cottage in Clitheroe, Lancashire, and sleeps 4 people. 14 miles. Tithe Barn in Dalton, Cumbria, and sleeps 8 people. 26 miles. High View in Skipton, West Yorkshire, and sleeps 6 people. 25 miles. White Moss - Number 2 The Terrace in Windermere, Cumbria, and sleeps 11 people. 23 miles. Kate's Cottage in Skipton, West Yorkshire, and sleeps 5 people. 29 miles. Tyan Cottage in Kirkby Lonsdale, Cumbria, and sleeps 4 people. 9 miles. Wastwater in Ambleside, Cumbria. 28 miles. Hawkrigg House in Coniston, Cumbria, and sleeps 8 people. 24 miles. Old St. Lukes Church in Kirkby Stephen, Cumbria, and sleeps 6 people. 25 miles. Station House in Hornby, Lancashire, and sleeps 6 people. 5 miles. Oakdene in Sedbergh, Cumbria, and sleeps 20 people. 12 miles. Wren's Nest in Thirsk, North Yorkshire, and sleeps 4 people. 47 miles. The Refuge in Appleby, Cumbria, and sleeps 5 people. 27 miles. Spen House in Settle, Lancashire, and sleeps 10 people. 4 miles. Langthwaite in Grasmere, Cumbria, and sleeps 8 people. 30 miles. Candy Cottage in Kirkby Lonsdale, Cumbria, and sleeps 4 people. 6 miles. Swindon School House in Burnley, Lancashire, and sleeps 6 people. 27 miles. Netherend in Keswick, Cumbria, and sleeps 10 people. 39 miles. The Old School in Reeth, North Yorkshire, and sleeps 10 people. 25 miles. Marsh Farm in Great Eccleston, Lancashire, and sleeps 11 people. 25 miles. Bank Bottom Cottage in Haworth, Yorkshire Dales, and sleeps 4 people. 34 miles. Riven Oak in Kendal, Cumbria, and sleeps 8 people. 18 miles. Gisburn Forest Lodge in Settle, North Yorkshire, and sleeps 5 people. 12 miles. One Clearwater in Carnforth, Lancashire, and sleeps 6 people. 9 miles. Mill Moss Barn in Ullswater, Cumbria, and sleeps 4 people. 32 miles. Scarfoot in Patterdale, Cumbria. 32 miles. Beck View in West Burton, North Yorkshire. 23 miles. Borrowdale View in Keswick, Cumbria, and sleeps 12 people. 41 miles. Longdale Cottage in Hawes, North Yorkshire, and sleeps 4 people. 16 miles. 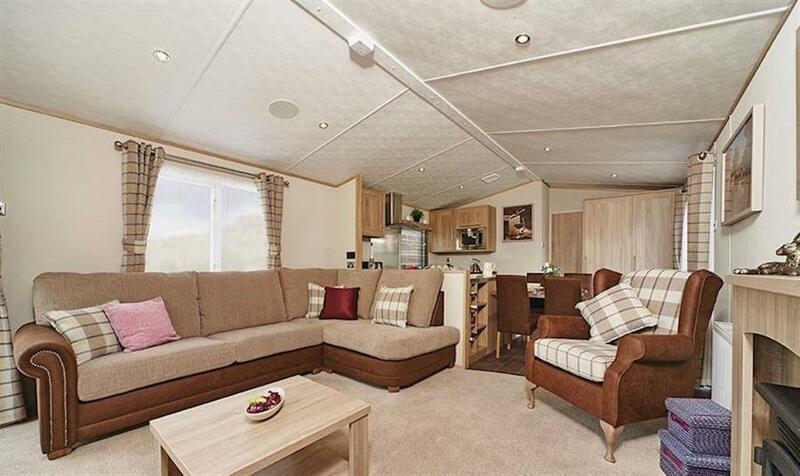 Eden Lodge in Ulverston, Cumbria, and sleeps 25 people. 23 miles. Oakbank Farmhouse in Cockermouth, Cumbria, and sleeps 6 people. 45 miles. Old Joiner's Shop in Windermere, Cumbria, and sleeps 12 people. 20 miles. North Dene in Blackpool, Lancashire. 31 miles. Aspen Cottage in Windermere, Cumbria, and sleeps 9 people. 23 miles. Housekeepers in Middleton-in-Teesdale, Durham. 38 miles. Hazel Grove House in Kirkby Lonsdale, Lancashire, and sleeps 12 people. 11 miles. Spring Bank in Penruddock, Cumbria, and sleeps 11 people. 37 miles. The Old Chapel in Melmerby, Cumbria, and sleeps 6 people. 41 miles. Yew Tree Farm in Penrith, Cumbria, and sleeps 15 people. 29 miles. The Garth in Penrith, Cumbria, and sleeps 7 people. 37 miles. Townend Farm in Appleby-in-Westmorland, Cumbria. 23 miles. The Garth in Threlkeld, Cumbria, and sleeps 8 people. 40 miles. Berkeley House in Keswick, Cumbria. 41 miles. Ingle Neuk Cottage in Keswick, Cumbria, and sleeps 4 people. 42 miles. Hackfall Cottage in Laverton, North Yorkshire, and sleeps 4 people. 34 miles. Gill Cottage in Kirkby Stephen, Cumbria, and sleeps 8 people. 23 miles. Sandfield in Kings Gardens, Southport, and sleeps 12 people. 40 miles. Oak Dene in Northallerton, North Yorkshire, and sleeps 12 people. 44 miles. This cottage in Richmond, North Yorkshire, and sleeps 16 people. 38 miles. Holbrook House in Richmond, North Yorkshire, and sleeps 10 people. 34 miles. Lower Barn Farm in Ribchester, Ribble Valley, Lancashire, and sleeps 12 people. 23 miles. York House in Richmond, North Yorkshire, and sleeps 10 people. 34 miles. Larchwood in Greystoke, Cumbria. 43 miles. Deer Close West Farmhouse in Horsehouse, North Yorkshire. 24 miles. Glenwalden in Blackpool, Lancashire, and sleeps 24 people. 31 miles. Lawn House in Low Road, North Yorkshire, and sleeps 8 people. 25 miles. Cobwebs in Grange-over-Sands, Cumbria, and sleeps 6 people. 17 miles. Inglenook Cottage in Grassington, North Yorkshire, and sleeps 5 people. 21 miles. Micklethorn in Broughton Hall, North Yorkshire, and sleeps 10 people. 21 miles. Crayke House in Leyburn, Yorkshire Dales National Park. 25 miles. Alondra Cottage in Blacko, Lancashire, and sleeps 5 people. 23 miles. Stainton Cotes in Coniston Cold, North Yorkshire. 18 miles. The Old Rectory in Uldale, Lake District National Park, and sleeps 8 people. 48 miles. Croft House Cottages in Keswick, Lake District National Park, and sleeps 4 people. 42 miles. This cottage in Richmond, North Yorkshire, and sleeps 10 people. 38 miles. Cleabarrow Cottage in Windermere, Lake District National Park, and sleeps 12 people. 22 miles. Bluebell Barn in Kirkby Stephen, Yorkshire Dales National Park, and sleeps 6 people. 21 miles. Ross Lodge in Kendal, Cumbria, and sleeps 14 people. 14 miles.